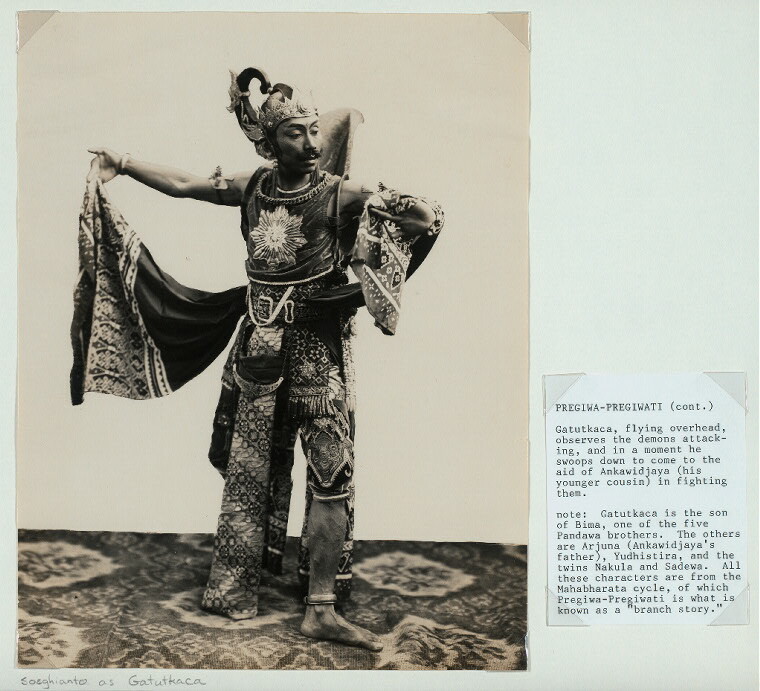 Theatre in Java has a thousand year old history at least, and includes a wide range of forms, many linked to pre-Islamic beliefs and practices. 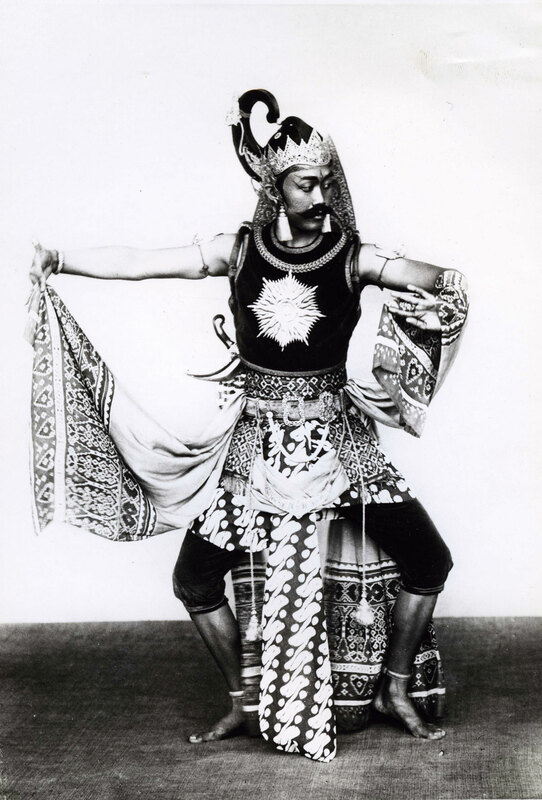 Shadow puppetry, wayang kulit, seems to have been at the core of Javanese theatre, influencing the development of other genres. As well as being shown regularly on national television, shadow puppet performances are sponsored by families and communities to accompany ritual events such as weddings or rice planting. 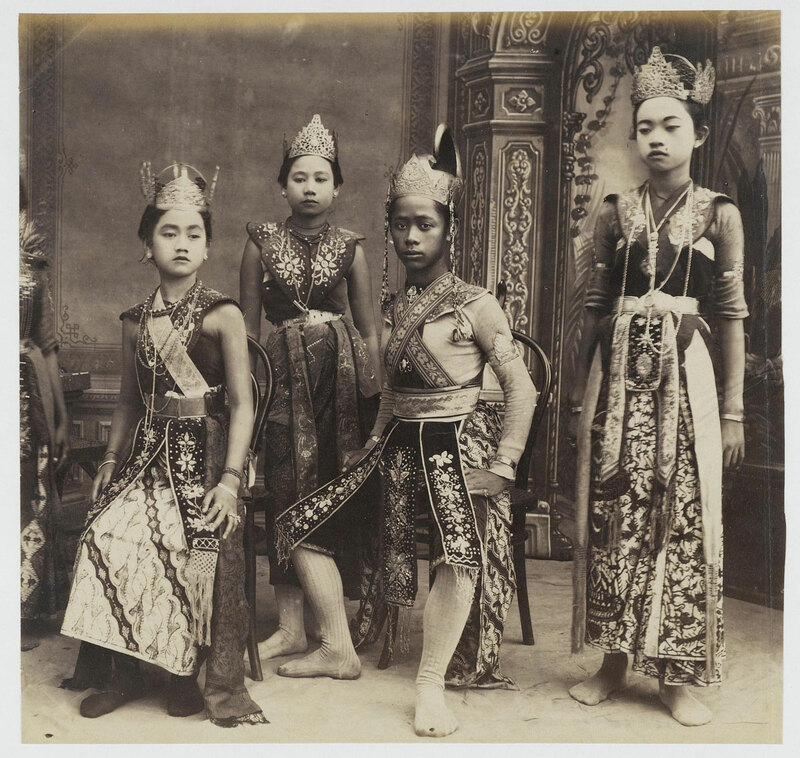 Most relate epic stories from the Ramayana or Mahabharata or episodes from Javanese history, legend and myth, including a cycle of stories around the culture hero Panji. Rod puppets are also used in Java, but these are less common. Over the centuries, the various sultanates have developed their own art forms by adapting and combining ancient Hindu-Buddhist traditions in the spirit of Islam. 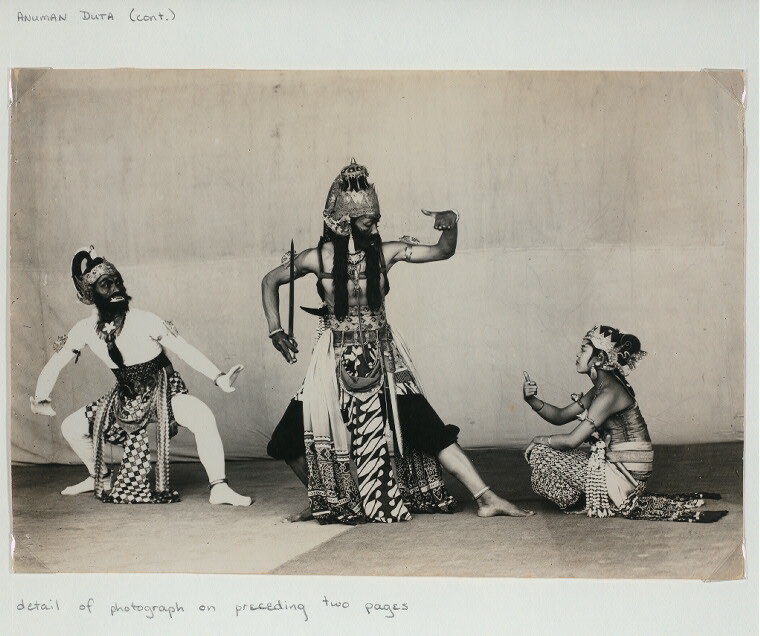 Court performances of wayang wong, a form of dance drama in elaborate costume, involved huge casts and months of preparation. 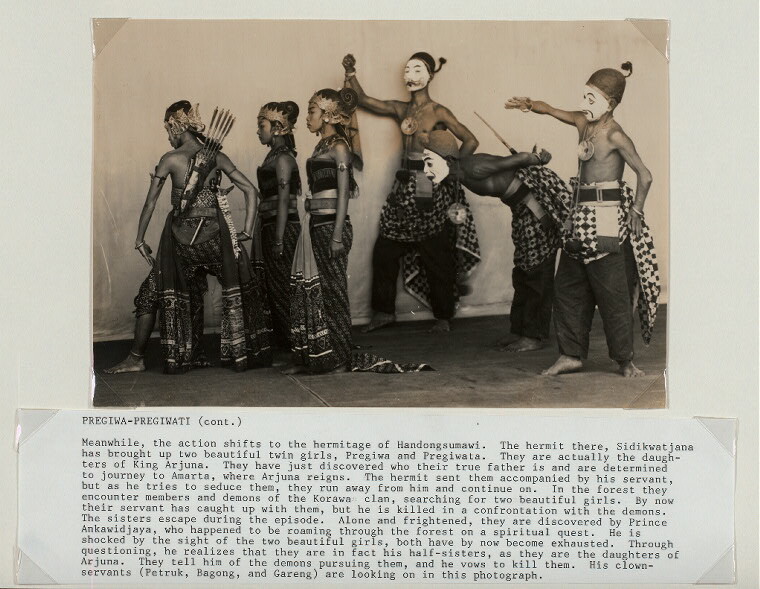 Outside the courts, other ancient Javanese theatrical forms include topeng (masked dance-drama, often enacting Panji stories), masquerade forms often involving trance such as hobby horse dancing (jaran kepang), and rejog, where performers wear huge headdresses of peacock feathers. 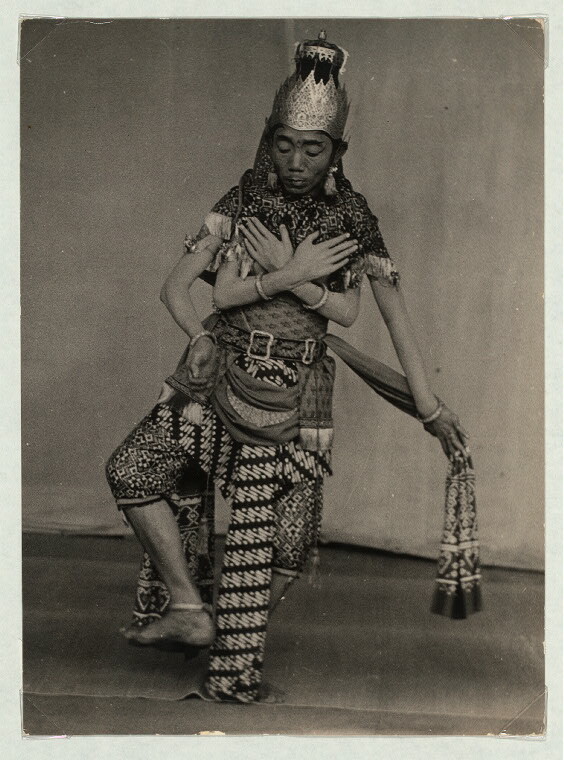 A court dancer of noble birth wearing a batik design reserved for court use, and medals on her waist cloth. Probably late 1930s. 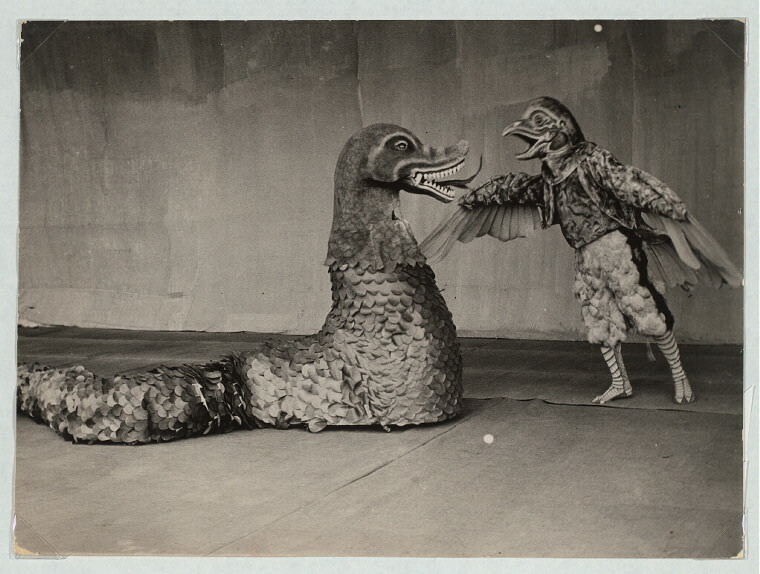 Beryl de Zoete collection, Horniman Museum archive. 397-1393. 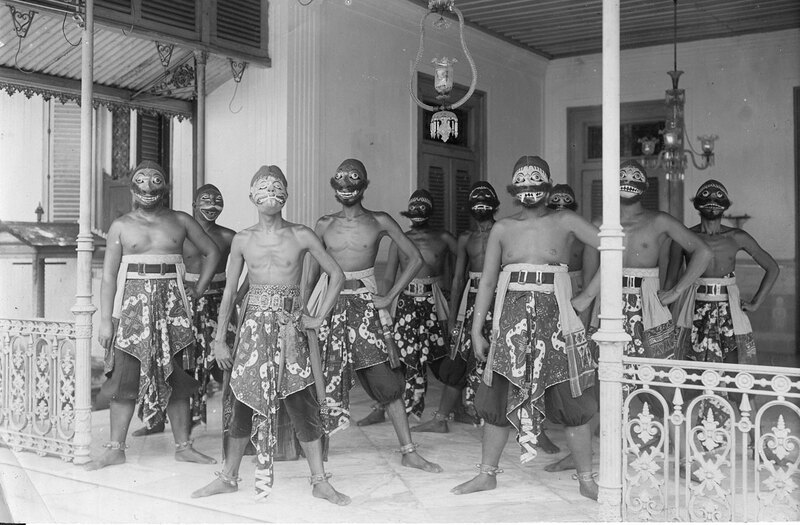 Masked dancers at the Yogyakarta court, representing a demon army. Circa 1925. Horniman Museum archive.